Find great gifts for you and your loved ones from our uniquely handcrafted Jewelry,Christmas ornaments and handcrafts. Get in the Season spirit enjoying your brownies, cupcakes, cookies and cakes with a cup of hot chocolate or coffee from Starbucks…..
Come along and join the festive fun with face painting for children aged 3 – 103….. Lets bring peace on earth for good by holding on forever to this Christmas mood !! . 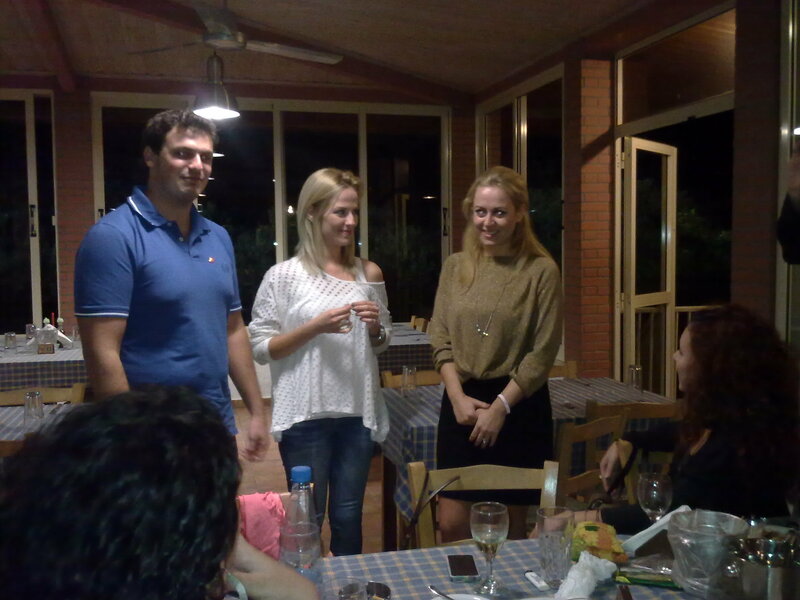 ROTARACT CLUB OF NICOSIA turns 23 …..
Join us at Retro Club in Nicosia on Saturday 10th Novmeber 2012 (from 22:30 onwards) for the countdown to midnight and watch us turn 23 …… come celebrate our Clubs Birthday retro style. reserve your place under the disco ball by emailing us at : rcnicosia@gmail.com or through our event page on facebook. Dear Rotaractors, Visitors & Friends! Mother Teresa once said that “Peace begins with a Smile”….. It is with great joy that I invite you to join us at our Laughter Yoga Event on Thursday (18 Oct. 2012) at 19:00. The attendance cost is only 5 euro and refreshments will be offered after the event, however towels or mats will not so please bring your own. 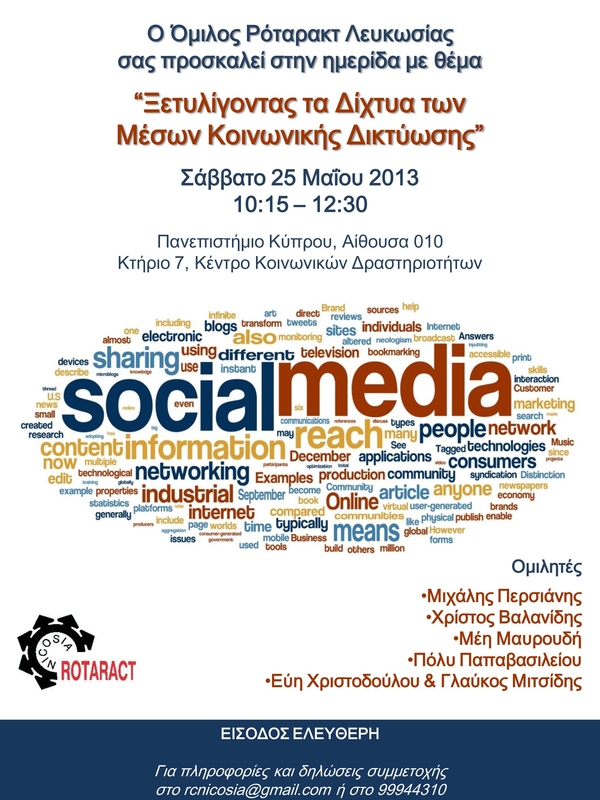 RSVP by 16/10 at rcnicosia@gmail.com or 99373120. 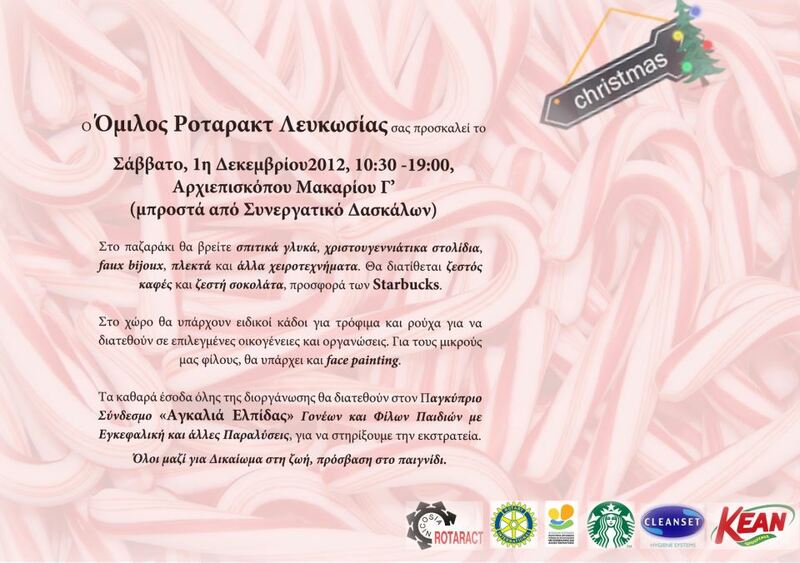 The event will be held at the PeopleAchive head offices at Argyrokastrou 5, Ayios Andreas, Nicosia …see map below.